The architecture killed me. Seriously. 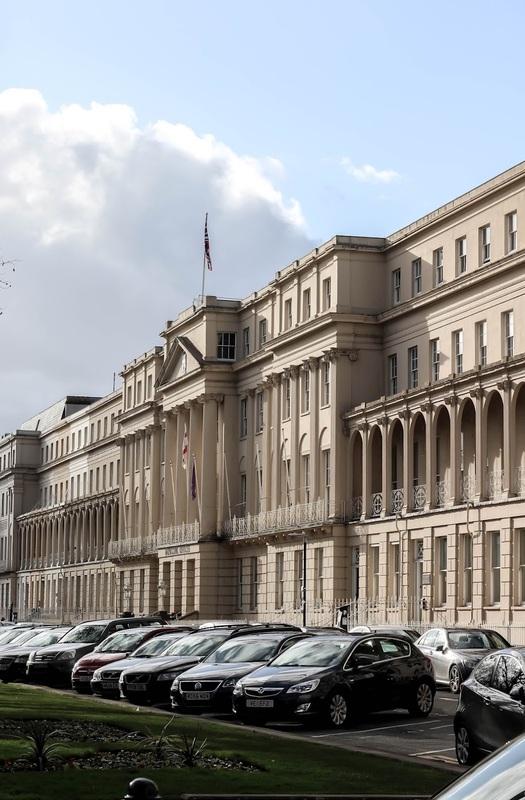 Can you imagine having the grand regency buildings on your doorstep, let alone living in them?! Definitely noted for future reference, that's for sure. 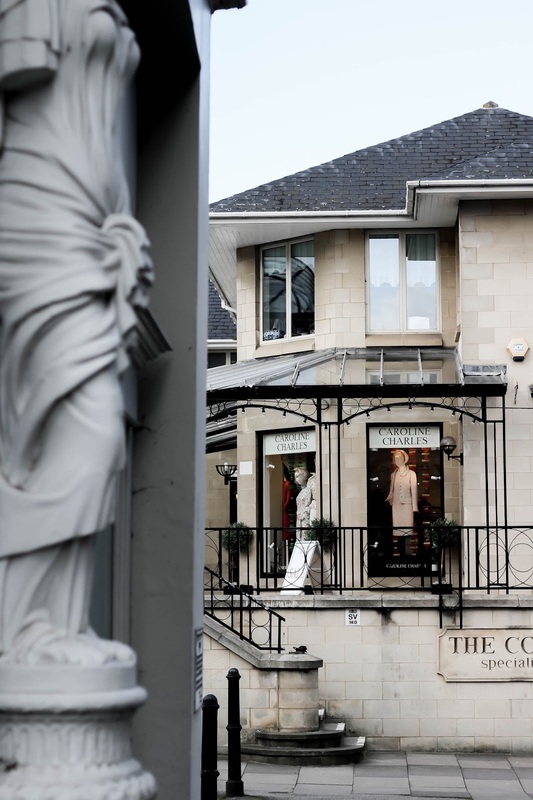 Luxurious shops as well as smaller boutiques are enveloped in historic architecture. The very best can be found within the Montpellier District; lined with places to shop, eat and enjoy a warm drink (ahem, hello Instagram). While visiting, I headed to the relaxed ambience of Café Rouge for dinner, a reliable familiar. My favourite dish I recognised, but not the fabulous exterior (see below). Like I said, literally everywhere in this particular area is enveloped in beauty! Oh. Where's the water?! 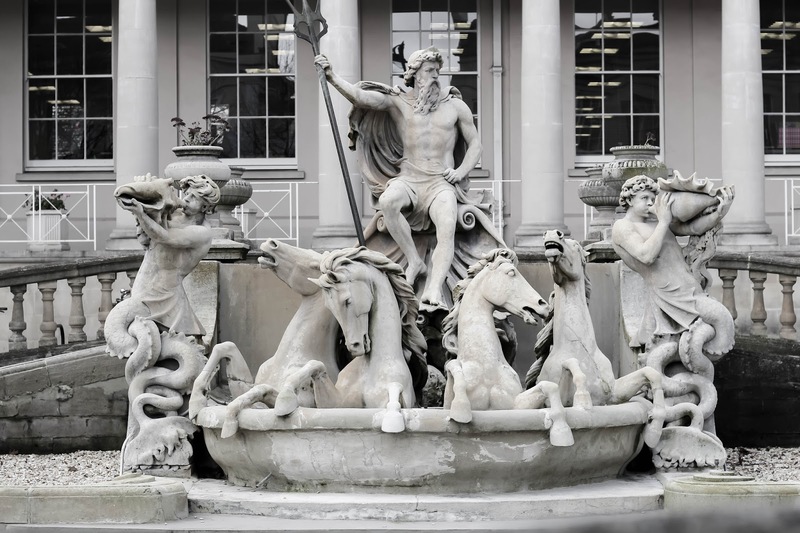 Hmm, sadly at this time of year you won't be able to see Cheltenham's famous Neptune Fountain in its full glory. Although, it's given me the perfect excuse to return when the weather is warmer! It's beautifully clean considering it was built in 1893 and is also said to have been modelled on Trevi Fountain in Rome - which you can see, for sure. Psst! If you like this, you'll also like The Town Hall's exterior, a 2 minute walk away. The grand symmetrical entrance ticks all the right boxes for Instagram. This famous location takes about 8 minutes (2 miles) to reach from Imperial Square by car, and a fair bit longer if you plan on walking. Pittville Pump Room was the last and largest of the spa buildings to be built in Cheltenham and so I suppose they saved the best until last! The architecture within is said to be just as spectacular as the exterior, although you'll have to see it for yourself as a ballroom dancing class was taking place when I visited. Again, providing a perfect excuse to return. 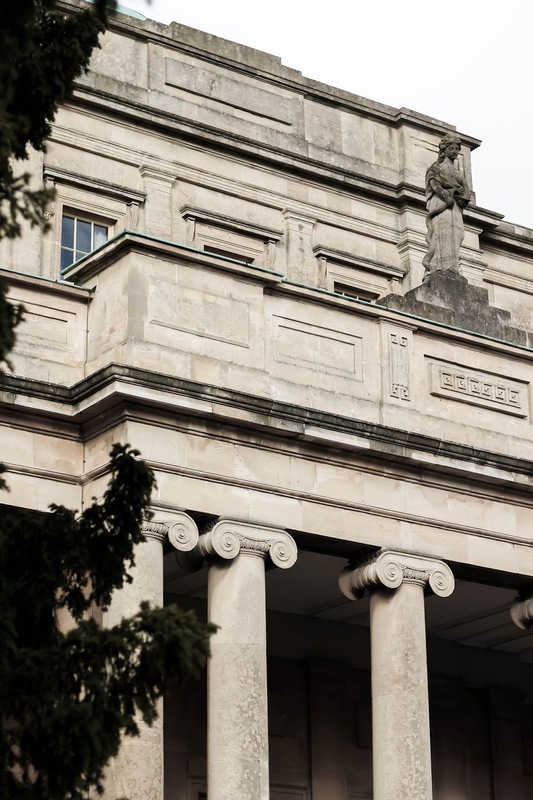 The columns surrounding Pittville Pump Room are a complete dream, particularly for those with a special place in their heart for grand, historic architecture. Psst! Pittville Pump Room leads directly onto Pittville Park and lake. Because of this, be sure to visit on a weekday, as weekends can get very busy. Boy, oh boy. We've reached the best bit. 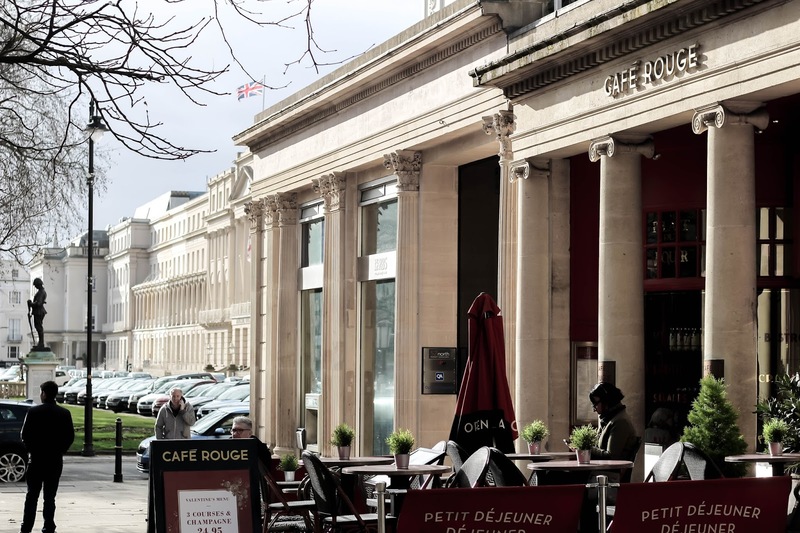 There are more cafés and restaurants than you can possibly imagine in Cheltenham. Better yet? Nearly all of them feature beautiful exteriors in fitting with the grand regency buildings of the area. 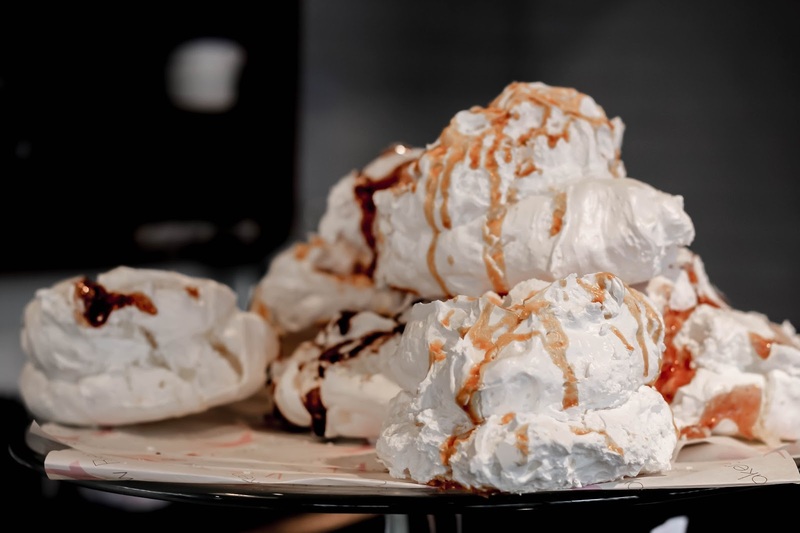 The Swallow Bakery is located just off Imperial Square and offers some utterly Instagrammable cakes, including giant meringues covered with drizzled toffee and chocolate. It's open from 8am-6pm and serves as the perfect start to a day of exploring. 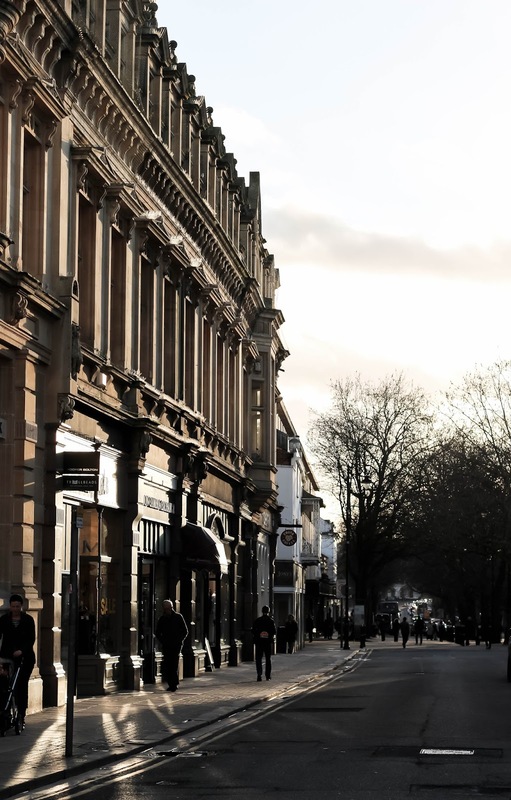 If it's dinner you're after, located 11 minutes away from Imperial Square is the Chelsea Bar & Brasserie. The restaurant's walls are lined with bottles of wine, creating the perfect backdrop for your (romantic) meal. Oh, and then of course there's the hotels dotted around the luxurious town. Queens Hotel Cheltenham was my accommodation for last week's staycation and the food was delicious! Much of the food is from local Cotswolds farms and gourmet artisans. The interior design of their restaurant is beautifully fresh and calm, although I'll leave it there as I'll be sharing much more about the hotel soon! As with most beautiful towns, there are quite a few parks to sit and enjoy a quiet moment. Imperial Gardens are my favourite, and could be seen from the hotel windows throughout my stay. Bliss. If you're travelling with children, head to Pittville Park (the oldest ornamental park in Cheltenham) to enjoy the wide open space, lake and climbing frames. Alternatively, spend a summer's afternoon at Sandford Lido's 50m pool, adjacent to Sanford Park and bring a picnic along with you! Other options include Montpellier Gardens, or driving out a little way to discover the countless other public gardens on the outskirts of Cheltenham. Okay, I lied. I am going to talk a little more about the hotel. 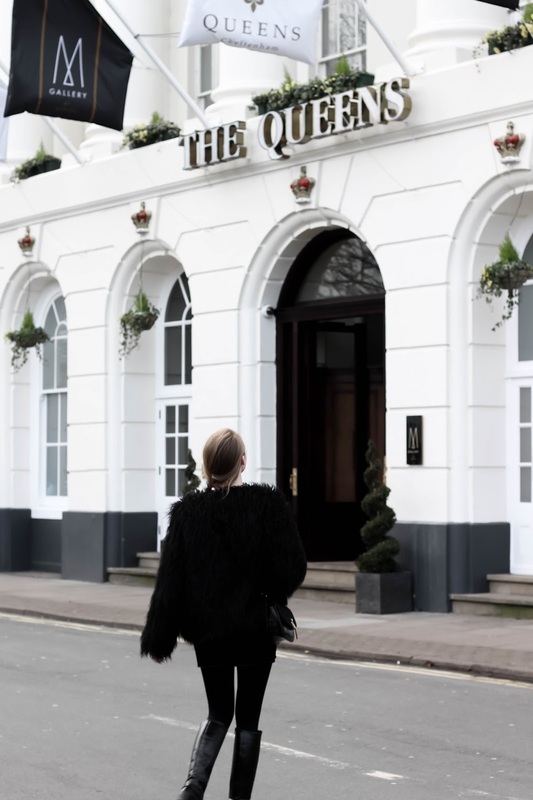 If you've got Instagram in mind while snapping away in Cheltenham, head to Queens Hotel. The white exterior lined with flags looks directly out onto Imperial Gardens and features some beautiful interior design throughout. I really will leave it there now though as I've got a ton more to share about the hotel very soon in another post! Psst! Book an afternoon tea for the ultimate picture-perfect moment. I hope this Instagram guide has been of some help to you, should you find yourself in the area anytime soon! Have you ever visited Cheltenham before? Anything here catch your eye? Let me know in the comments below! Yesss- so gorgeous and definitely Insta-worthy! Every spot looks perfect and made for Instagram!! The buildings are completely stunning and I love your photos as always Gabrielle!! I love reading Instagram travel guide posts. Such a great way to explore a new city and find the best views. These are great Insta-worthy spots, thanks for sharing! Wow, I never thought about Cheltenham being such a beautiful destination! Everything looks stunning, and I love the architecture and the History behind it. The fountain does remind of the Fountain of Trevi, and it must look amazing with the water system turned on. You've made me want to visit the place, so thank you for this beautiful discovery! It's so beautiful there! It almost looks like another country in comparison to the rest of England you've been showing but still definitely very English looking! If that makes any sense... It definitely looks very regal too! I love the white exterior of The Queens and the Imperial Park is stunning. I really hope to see more photos from Cheltenham! Ah these photos are gorgeous! I've never been to Cheltenham, but it looks stunning. SO many gorgeous spots! I die over those old school phone booths. And of course, drooling over whatever dessert that is. I think Ben would have so much fun explore this city and shooting videos all over! You'll have to give us all the inside info when we finally get to this area! I just started following you on instagram. The architecture is breathtaking. I love the public telephones. We have nothing like Neptune Fountain in the States, I’ve seen Trevi Fountain in Rome, it’s very impressive. The Imperial gardens look sweet. I love your jacket. I can see why you loved it so much!!! So beautiful!! Oh my goodness, Gabrielle, I need to visit! These photos are just gorgeous. Totally swoon-worthy. PS that fur jacket on you is fabulous! wow, these images took my breath away! What a gorgeous place Cheltenham is. I want to visit Pump Room...and the park it leads to. Seriously, how pretty is that park? You look fantastic yourself dear! I have never considered Cheltenham as a staycation destination but you have definitely swayed me. The Swallow Café is definitely somewhere I need to visit. Also the Neptune fountain is so pretty! As always, beautiful pics, Gabrielle. Gabrielle, you make me want to visit everywhere in Europe! Cheltenham is glorious! Love the architecture. That fountain is absolutely amazing. I adore the boutique shops. Would love to visit. Thanks for showcasing. I loveeee your Instagram! You should have over 100k- 1 milli followers! Its soo pretty! This is soooo amazingly gorgeous! I love the first photo of you. You look like a beautiful statue, tall, perfect, and pristine. Judging from what I see featured here, I think it's a stunning and very photogenic place to visit, Gabrielle but I've always thought the whole Europe is. I loved reading your post babe, the pics are fab, it looks like such a beautiful city ! Thanks for sharing with us, amazing photos by the way! Cheltenham looks like such a lovely area to visit! I feel like there are so many towns in the UK that are full of history and beautiful architecture, so you could go just about anywhere and have a lovely time. Those meringues look incredible though! And I can totally see how that foundation was modelled on the Trevi Fountain, haha. You look amazing!Love that coat! Oh, these photos are absolutely beautiful! I love the mood and drama of each of them, which captures the season and really enhances the details in each building and sculpture you've shared. Thanks so much for sharing these different locations with us, girlie, and I hope you're having a great week so far! Great guide for when I'm back! You make me wanna visit every place you go, Gabrielle, reallY! I've never heard of this city before but the photos you took are very beautiful! Seems a so elegant and interesting place, in that charateristic "british" way! Wow...this is such an amazing place, everything looks so grand! I'll definitely look forward to your post about the hotel. The food alone looks amazing! This place sounds so gorgeous. I'm loving the architectural design of the buildings. Cheltenham is definitely photogenic! Wow I can't believe this was a staycation for you! This place looks so grand. Love the architecture. I am not sure if Cheltenham is on the cards for me anytime soon, but I want to visit all these places! You were lucky with the weather as well. Wow the architecture in Cheltenham looks gorgeous! Such stunning photos as ever Gabrielle, I love following along with your staycations! 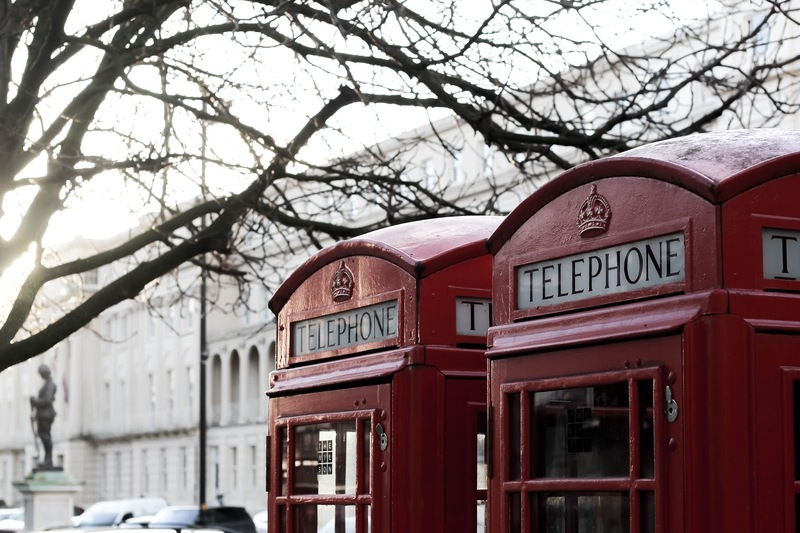 What gorgeous pictures, I really like the one of the telephone boxes! 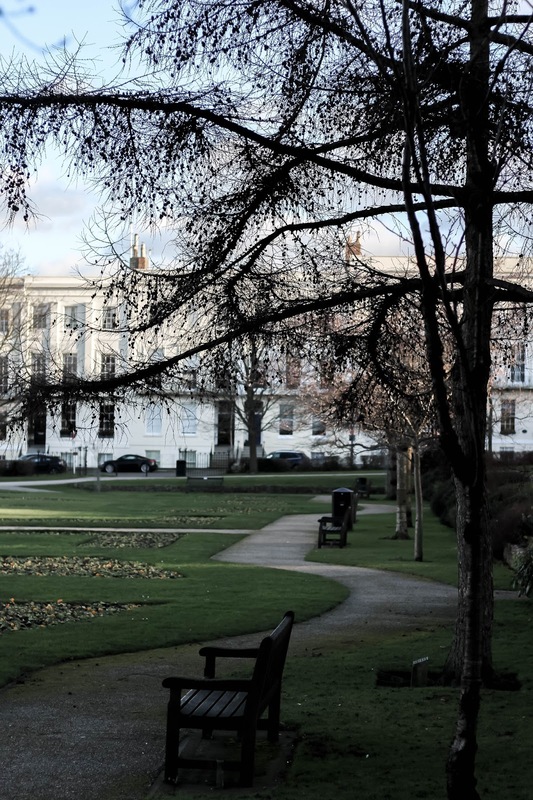 Cheltenham looks like the perfect place for a staycation!! I love the architecture in theses photos. Such a great guide ! Wow, everything looks so beautiful! You just can't go wrong with architecture like this. That last shot is my fav, your all black outfit + the background looks so elegant. I have never been to Cheltenhem but it looks amazing! Also, love your monochromatic look! This place is absolutely gorgeous! So much history and stories; definitely an IG-worthy place. Also, you're definitely a beautiful addition to the photos dear. The cute pink simply pops out, such a chic and elegant look casual! 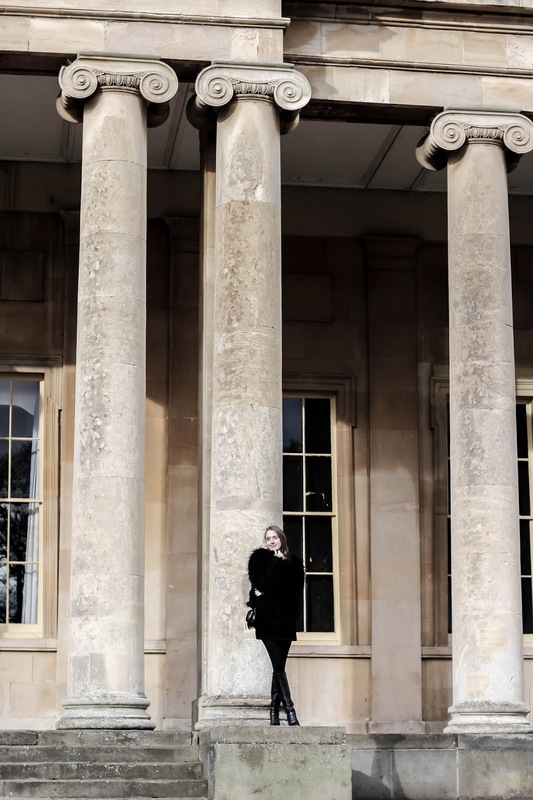 The architecture in Cheltenham looks stunning... Beautiful photos!